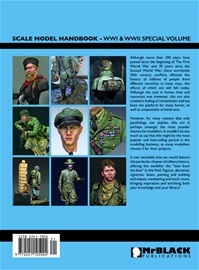 This is the 21st issue of “Figure Modelling” in Mr Black Publications Scale Model Handbook series and the 26th book weve published. 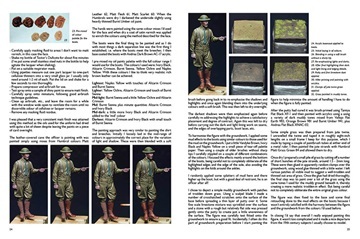 Twenty-one of our titles cover figure modelling, there are two on modelling dioramas and a further three are our popular “World War Two” modelling specials. 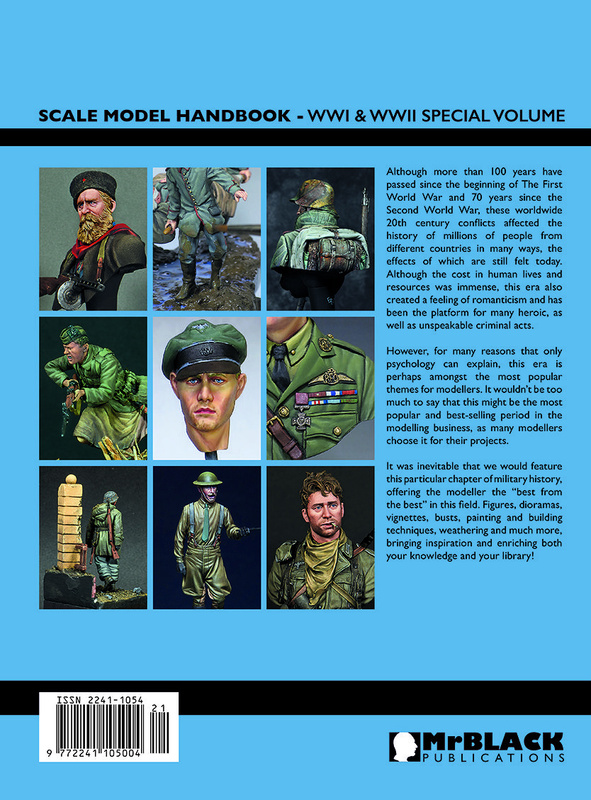 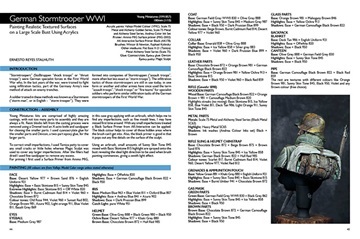 Answering a popular demand, weve decided to produce the 21st edition in the Figure Modelling series by again featuring only WWI and WWII themes, two of the most popular periods for modellers. 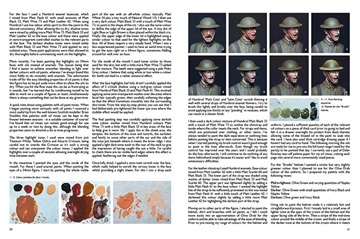 In this issue, there are nine different articles – five on WWI and four on WWII written by five well-known artists and offering lots of tips and techniques about modelling miniature figures, busts and vignettes. 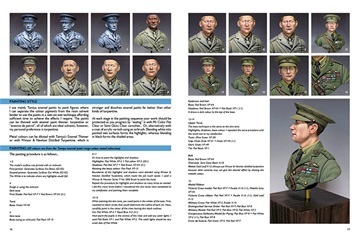 Each chosen subject is covered in detail and illustrated with step-by-step photos and explanatory texts. Toshihiro Sano is one of our regular contributors and he presents three articles, two on WWI and one in WWII beginning with a feature about a 120mm figure depicting UntersturmführerReifkogel at Kharkov on 1943. 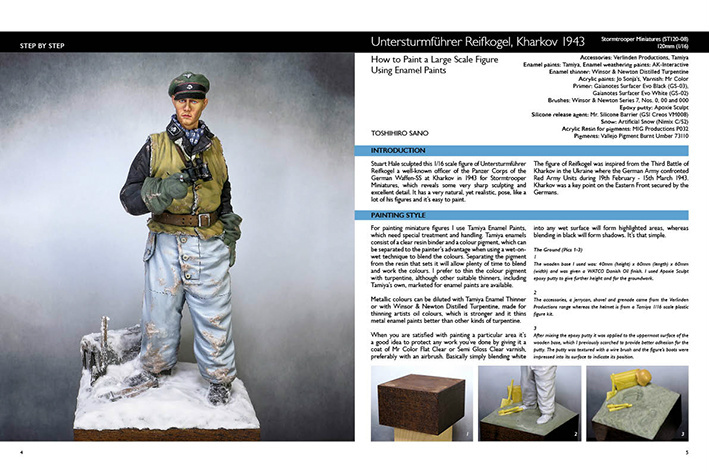 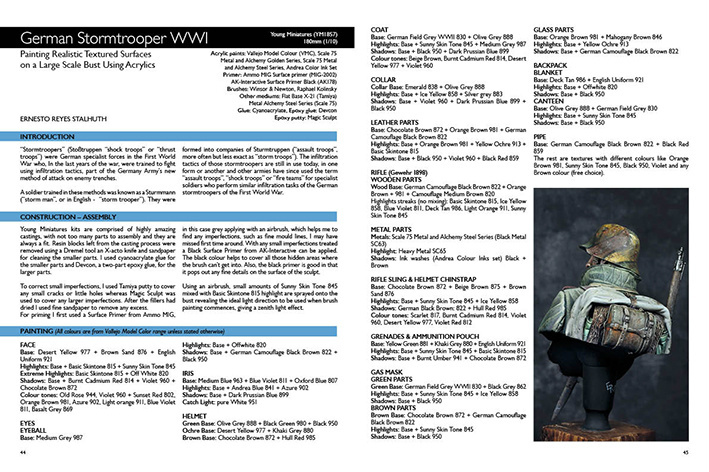 There are 70 photos over 10 pages that reveal exquisite details on painting, weathering, making the figures base and how to “give life” to this excellent figure sculpted by Stuart Hale for Stormtrooper Miniatures. 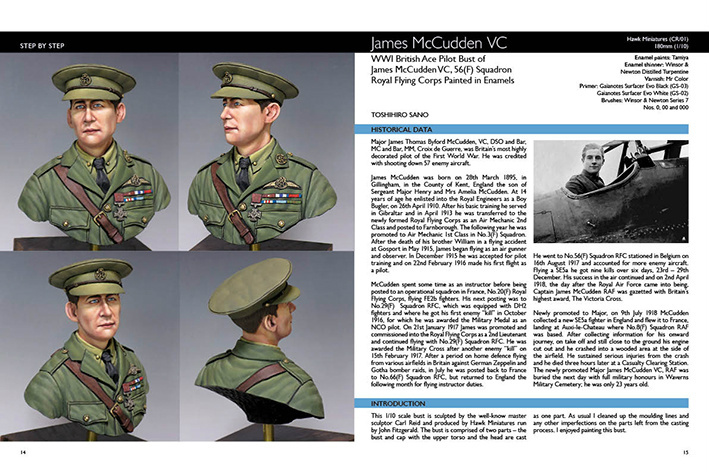 The second is a large 1/10 scale bust depicting the famous WWI British flying Ace James McCudden VC, painted again with enamels – Tamiya enamels are the favourite medium of Toshihiro. The bust was sculpted by the well know Master Carl Reid and produced by John Fizgeralds Hawk Miniatures. This article has 16 photos over four pages. 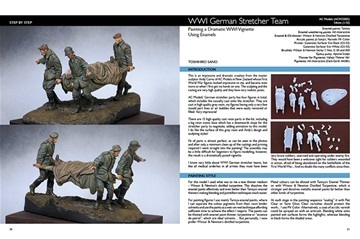 Toshihiros third six-page article depicts a dramatic WWI vignette of a German Stretcher Team with 28 photos offering the opportunity to the reader to see all the necessary painting and weathering steps. The stretcher team figures were sculpted by the well know Master Andy Cairns, owner of AC Models who produces this amazing kit. 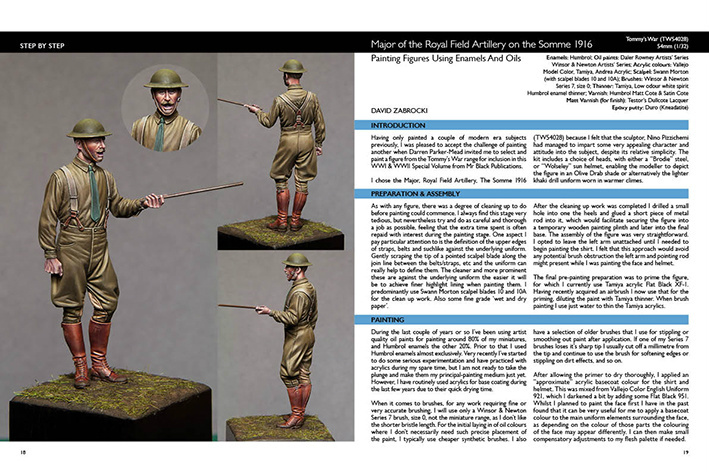 We welcome to our group of talented modellers one of the best figure model artists in the world, David Zabrocki, who presents a 54mm figure painted with enamels and oils, depicting a British Major of the Royal Field Artillery on the Somme 1916. 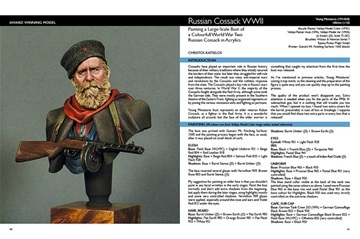 This figure is one of the masterpieces of the famous sculptor Nino Pizzichemi and produced by Tommys War Company of Darren Parker-Mead. 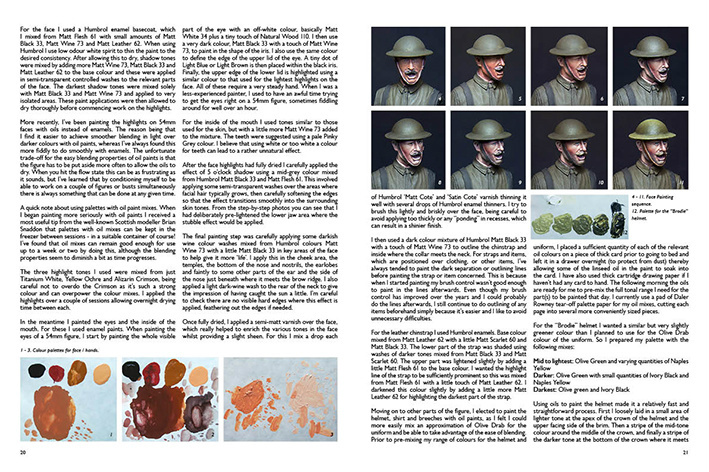 This has 38 photos over eight pages covering all the necessary details on Davids master painting style using enamels and oils! 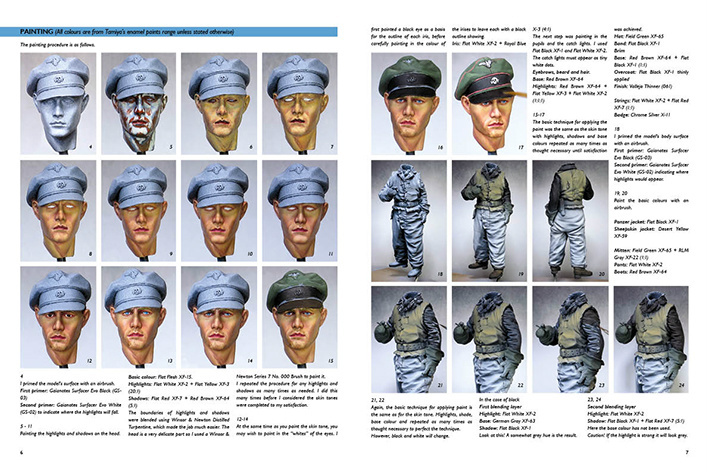 Christos Katselos strikes back with two impressive large-scale bust masterpieces... 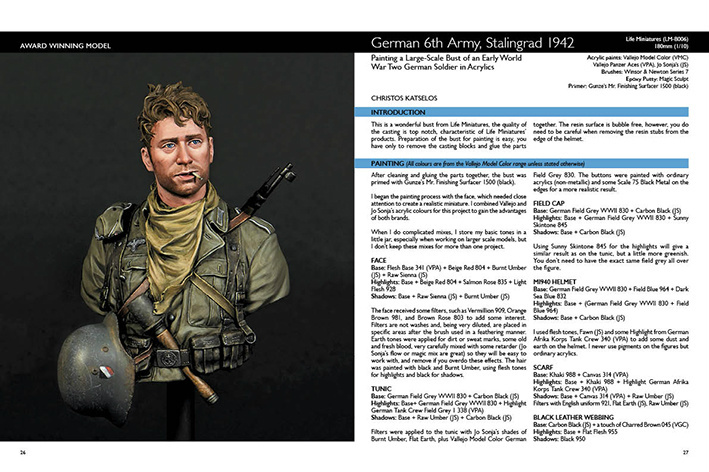 The first is a German 6th Army soldier at Stalingrad 1942, a Life Miniatures (of Sang-Eon Lee) 1/10 scale bust, which covers four pages. 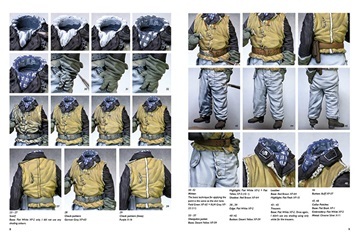 The second one has three pages and depicts a Young Miniatures 1/10 scale WWII Russian Cossack. 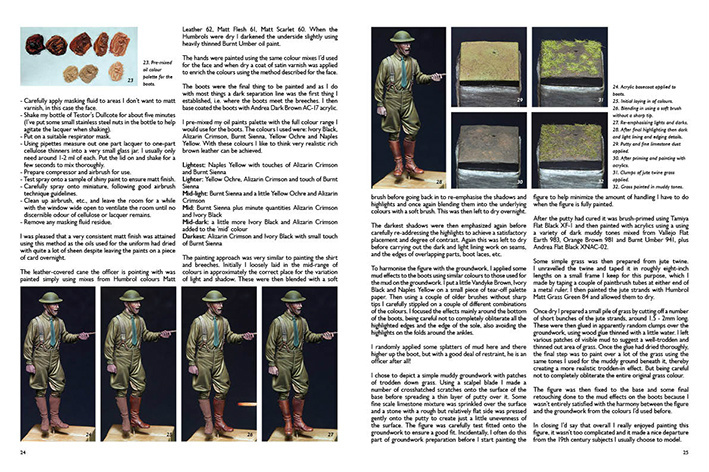 Stelios Neofytidis, another of our regulars, presents two articles, one for each world war. 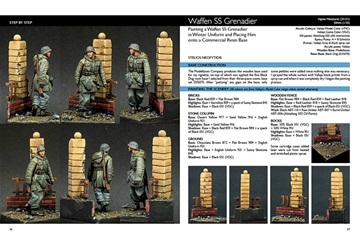 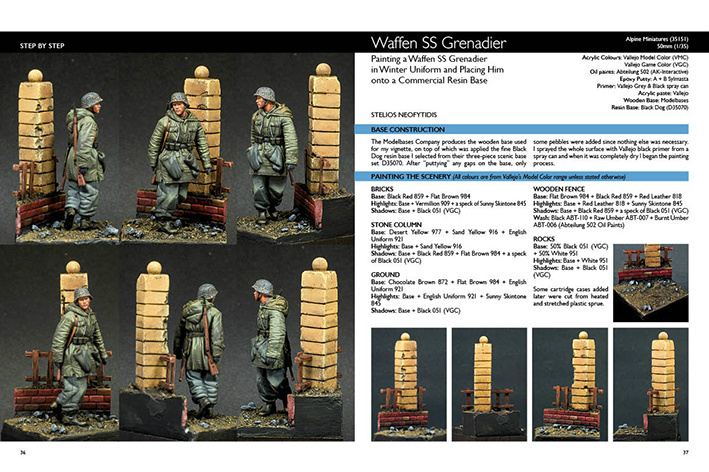 The WWII article is a small vignette presenting a 1/35 scale Waffen SS Grenadier placed on a Black Dog resin base. 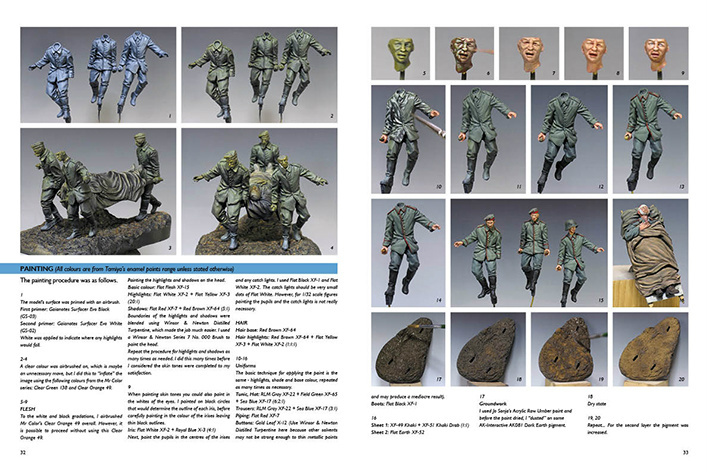 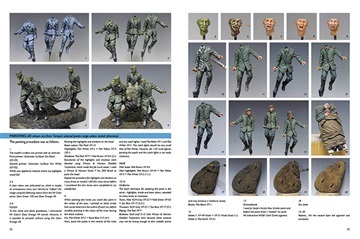 It covers four pages with eight “in-progress” photos, the figure being sculpted by the well-known artist TaesungHarmms and produced by Alpine Miniatures. 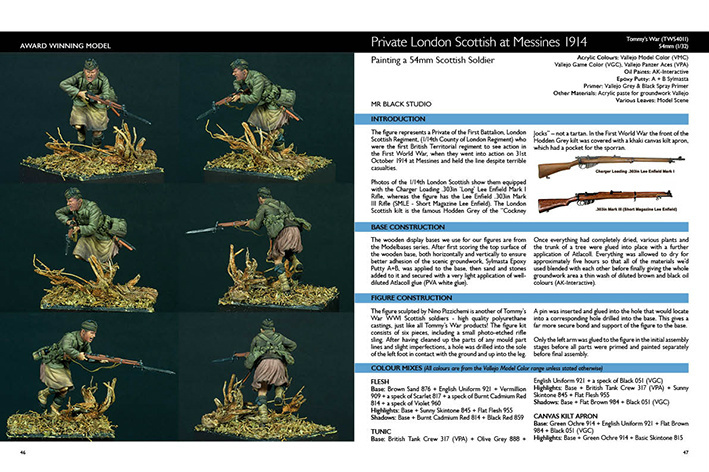 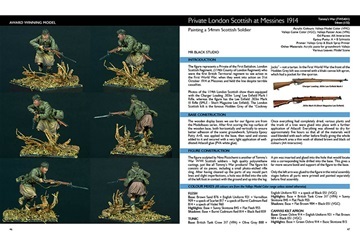 The second three-page article is a private soldier of the London Scottish Regiment at Messines 1914, a 54mm resin figure sculpted by Nino Pizzichemi and produced by the Tommys War Company of Darren Parker-Mead. 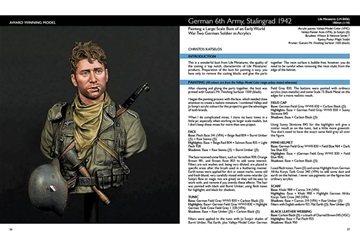 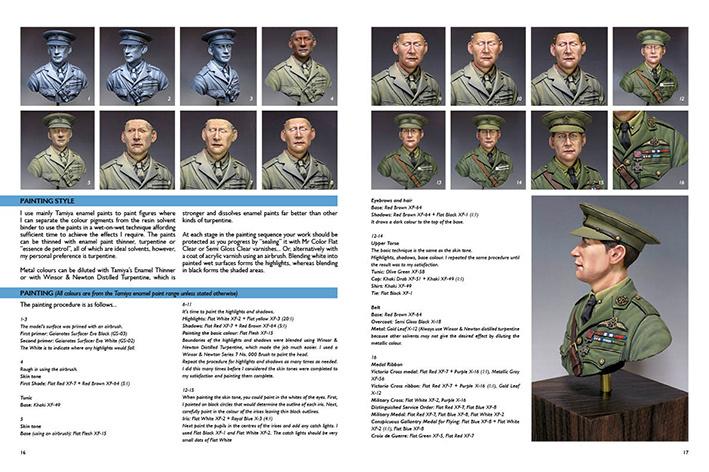 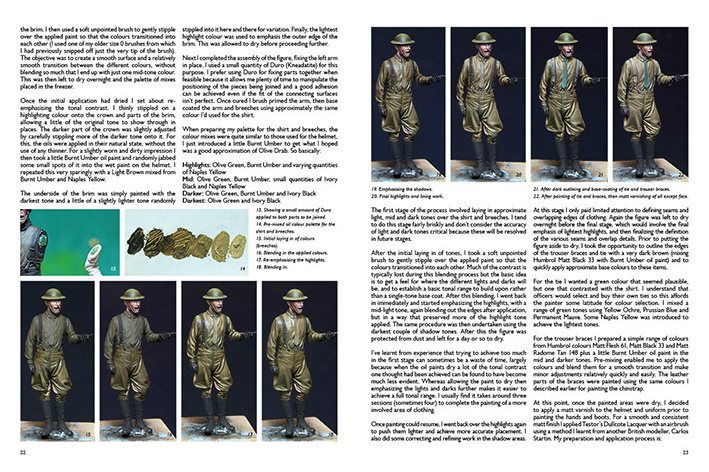 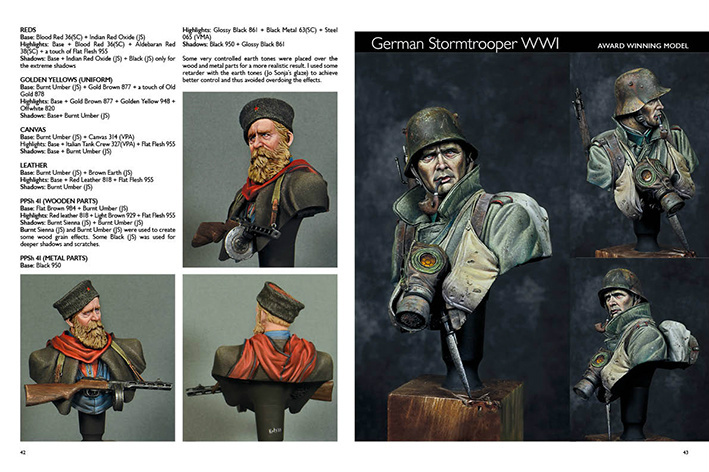 The famous Ernesto Reyes Stalhuth presents an awesome and large 1/10-scale bust of a WWI German Stormtrooper in a three-page article explaining how to paint different textures on this impressive model sculpted by the well-known Master Young B Song, the owner of Young Miniatures. 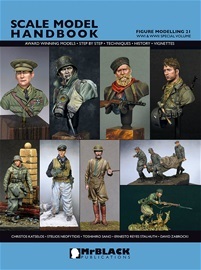 Thanks, must go to all our contributors for their support and for sharing their secrets with us. 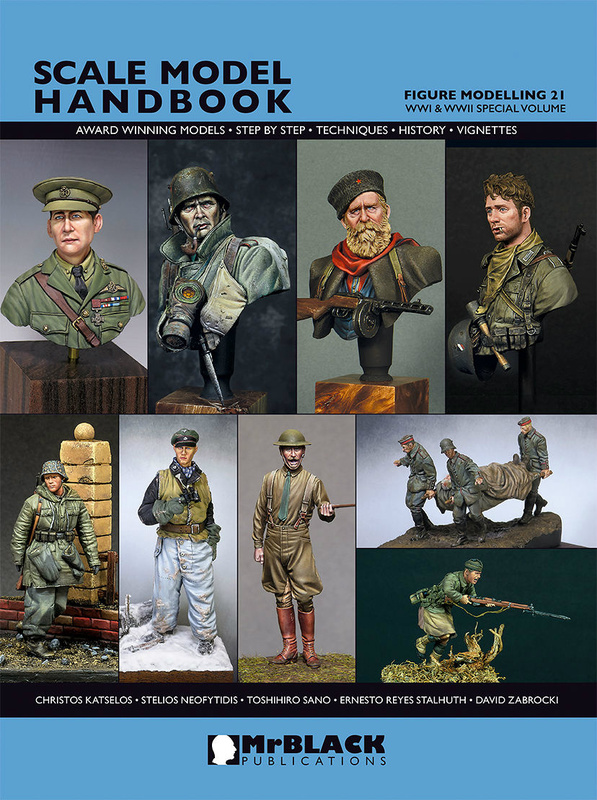 Special thanks are due to Pietro Balloni, Luca Marchetti, Alex Vallejo, Darren Parker-Mead, Man-Jin Kim, Alexey Lucanev, Fernando Vallejo, Balazs Schuller, TaesungHarmms, Yannis Papadopoulos and last, but not least, our English Text Editor Ken Jones.